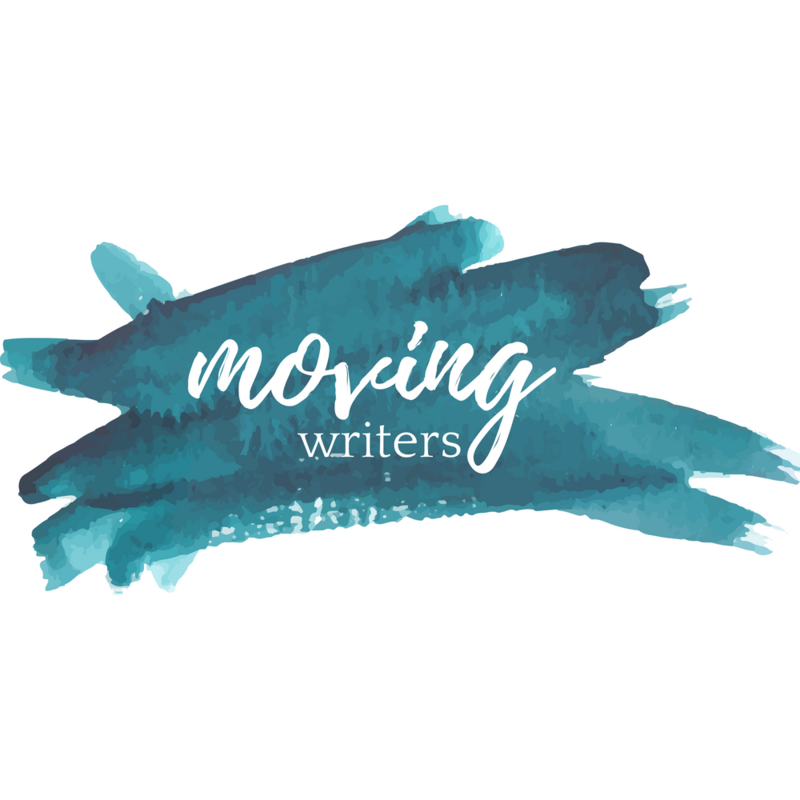 We have been sharing Moving Writers’ most popular posts about mentor texts as we move toward the September release of our book, Writing With Mentors. Last week in our Summer Mentor Text Countdown, we shared two different approaches to introducing students to mentor texts in the very first days of school. This week, we bring you a post for the opposite end of the school year — a look at using mentor texts to wrap up year of writing. Now, while we originally posted these mentor text-inspired activities as an end-of-year finale, they would work equally well for beginning of the year mentor text activities with older students or students who have worked with mentor texts in the past! In our workshops, we want our students to learn to craft moving pieces of authentic writing. But we hope that this will extend far past our classroom — how do we do this? How do we assess and ensure the independence we hope we have instilled in students all year long? As a final project (or final exam, as we are currently required to give one), we ask our students to use the processes and resources of the class — specifically mentor texts — to create one final piece of writing. In a way, this is similar to the beginning-of-the-year mentor text activities we use to open class (Here is what I did last year, and here is what Allison did). For these final, independent writing projects, we look for mentor texts that are engaging (often this means that they are highly visual), easily accessible to students of all abilities and reading levels, and thematically help us wrap up a year’s worth of work. In this collection of essays and gorgeous bookshelf art, editor Thessaly la Force examines the books that have had the most significant impact on prominent cultural figures ranging from Patti Smith to Chimamanda Adichie. 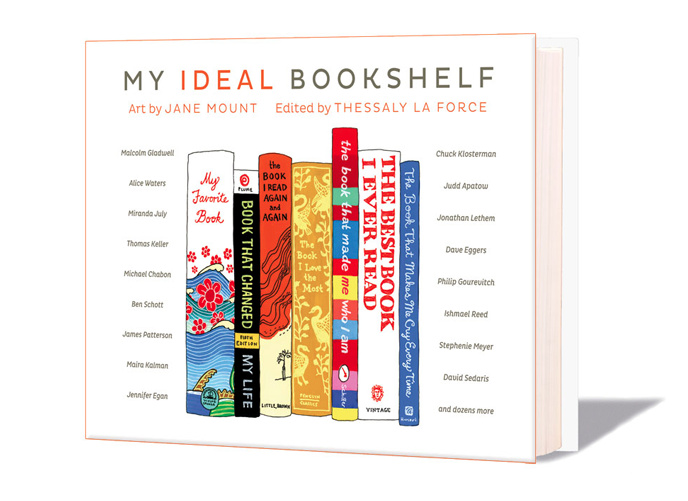 While illustrator Jane Mount creates stunning depictions of these “ideal” bookshelves, the contributors craft an essay considering the impact of these texts on their lives. Give students a cluster of mentor text essay-and-art pairings from the book, and have them create their own! La Force has even included a blank bookshelf template in the back of the book for you to photocopy and pass out to students! In this study, the content and presentation are fairly uniformly determined by the editor, making this an easy entry point into mentor text independence. This is also a great project because it includes a built-in publication processes as La Force encourages readers to take a picture of their bookshelf and post it to Twitter using a special hashtag. You know you love these, and your students do, too. Buzzfeed creates handfuls of fascinating annotated lists every day. Some are more serious (“30 Most Powerful Photos of the Week”), while others are lighthearted (“26 Things You Might Have Missed in Wayne’s World”), and some are straight up ridiculous. Using a Buzzfeed list as your final project has a few distinct advantages. First, they are a strong cultural meme that your students will be instantly engaged by. 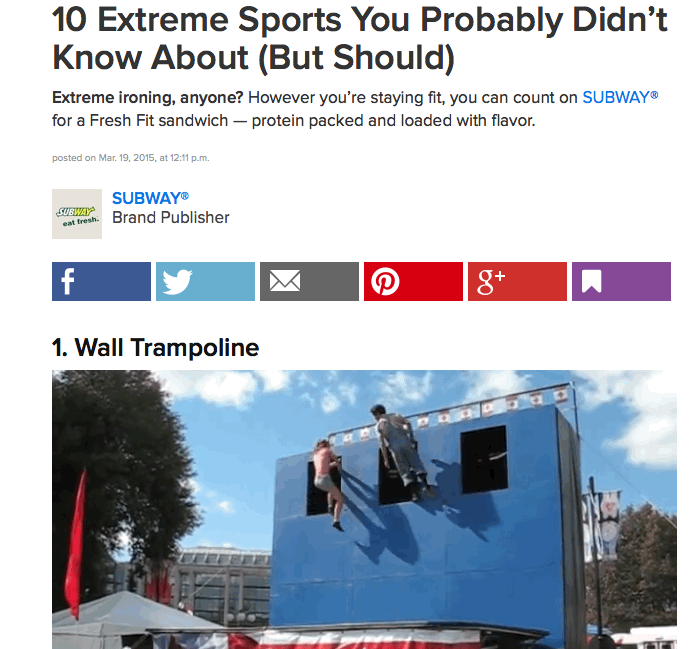 Second, all Buzzfeed lists include images (sometimes captioned) or GIFs. This mentor text study would force students to think not only about content but also about presentation. You can choose a cluster of lists for your students to study (sometimes this is a good idea because not all Buzzfeed lists are equally appropriate) or just set your students list on the site to pull together their own cluster of 3-5 lists from which they will draw ideas and inspiration. Amy Krauss Rosenthal’s memoir includes so many unusual and captivating genres, that you really just need to see it for yourself! Including almanacs and alphabetical encyclopedia entries, Rosenthal tells the story of her life. 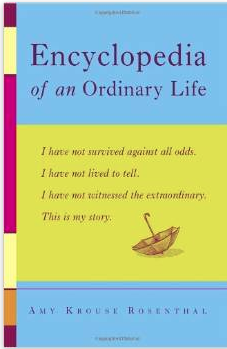 Have your students create one page of their own encyclopedia using Rosenthal’s memoir as a guide! In this study, they would have to carefully consider content (Rosenthal uses lists, timelines, quotes, definitions, narratives, among others!) and presentation (she includes charts, illustrations, etc. ).